Whilst PHD continue their hard work at Great Ormond Street Hospital some of the team volunteered to take part in the Hospital’s Sustainability Day. This dedicated day was to celebrate the Hospital’s ‘green journey’ and to raise awareness of the environmental issues that exist and how they have a great impact on health and wellbeing. 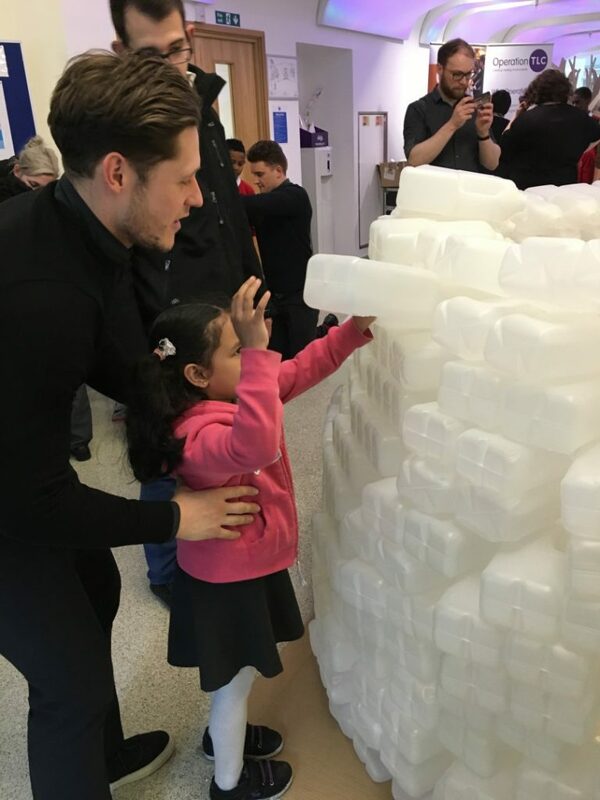 PHD worked with SKANSKA to create an igloo made from empty milk carton bottles for the children at the Hospital. Throughout the day children came in to help stick the milk cartons together and take part in the other activities the Hospital provided for the celebration. PHD is an environmentally aware company. We do our very best to leave no waste or mess behind. PHD were more than happy to be a part of this joyful yet small event organised by Great Ormond Street Hospital where we are currently aiding the build for their new wing.